After my trip to the Smokies last summer, It has become very apparent to me that I need a good salamander identification guide. I guess what I am looking for is a very descriptive book on Salamanders of North America that includes pictures and identification techniques for each specie of salamander. If there aren't any very in depth guides for North America, then I would settle for the Southeast region. PETRANKA, J. W. 1998. Salamanders of the United States and Canada. Smithsonian Institution Press, Washington and London. DODD, C. K., JR. 2004. The Amphibians of Great Smoky Mountains National Park, Knoxville. Both books are great I have them in my collection. The Dodd book is often found on top of my toilet lol. I got the Petranka book recently. Wow! Salamanders of the Southeast by Gibbons and Mitchel is a solid book for the region. I ordered a copy as soon as I started to figure out there were a lot of duskies I was not going to be able to identify with the Georgia book alone. Petranka is fantastic but will not include many of the species resulting from recent taxanomic splits. Duskies, slimies, and some other plethodons have been broken apart quite a bit since it was published in 1998. I highly recommend the book but think of it less as a field guide and more as a massive educational and lit resource. 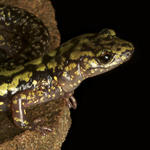 I heard that Salamanders of the Southeast wasn't that good as far as information goes, but I really need a book just for identification of certain desmognathus, etc. Will it suffice? The Dodd book will be best for helping ID Desmogs, but it's still tough even with some of them in hand. Is there a newer version of the Dodd book coming out? Also, Is there a Snakes (and/or Lizards) of the US and Canada book that is similar to the salmander version(or does anyone have recomendations of a book that's just as good)? There is a Snakes of the United States and Canada that is honestly one of the best books I own. Each species is given several pages of in depth writeup. I have it loaned out to a friend or I would tell you who wrote it etc. It's truly a gem in my collection. oops I meant the PETRANKA book. The book is Ernst and Ernst and it's an excellent reference material. 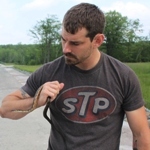 I even learned a few things about snakes I thought I really knew and understood. Great book that you won't regret during the cold months. Really? No offense to Whit (and I've liked the other SE books well enough), but I thought this book was pretty mediocre. Lots of typos and mistakes...and why the hell would you group salamanders by "aquaticness"? Now, I can read about Desmognathus marmoratus right alongside Necturus. Seems a bit silly. I'd go with Petranka, and if you need to identify one of the groups that has been split up since, look to the primary literature. I agree totally with you on this one. I felt like the book was for younger guys, or beginners? I just felt I was a little "above" or advanced for that book. I don't mind having it though. I'll look forward to picking up your book on salamanders. You have to realize that if you are going to sell a book (which is the intent unless you are writing for another reason) you have to write it to appeal to the masses... that's kind of a...duhhhh. The typos are a printer/editor problem and not the writers. Also... any of the publications by Bishop are worth looking into. The taxonomy might not be up to date but it never will be. Handbook of Salamanders, Sherman Bishop, Commstock, 1943. I think Piankas work updated this.